Most cold storage facilities or cold rooms, are constructed from pre-fabricated insulated panels. These generally lock together with cam-lock fittings. Inevitably, gaps do form at some joints and where electrical conduits, drains and refrigeration pipes enter the room. 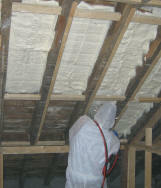 These joints must be sealed with an appropriate closed cell foam sealant material to maintain the overall insulation integrity of the room and prevent the ingress of moisture and the subsequent formation of ice patches. In large cold storage facilities, the roof panels have to be supported along their length to prevent them bowing. 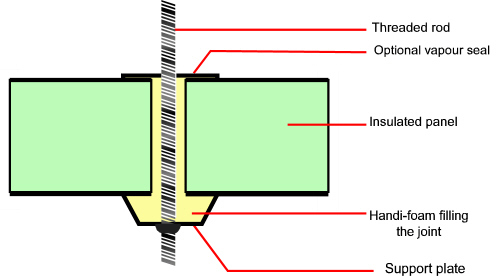 Where this involves using a threaded rod and support plate, a gap is formed which runs the length of the panel. This gap requires insulating and sealing in order to maintain the insulation integrity of the cold room. Quick and easy application of the foam allows your engineers to save time sealing during construction. The foam cures quickly and can be cut back within 5 minutes. The foam cures chemically unlike single can aerosol systems which require moisture to cure. 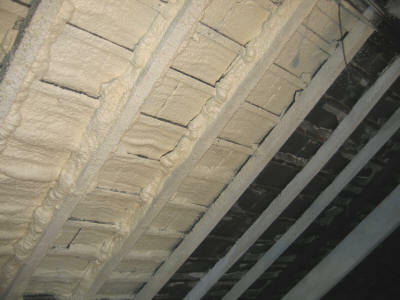 The spray foam kits are portable which makes them easy to use especially on cold room ceilings. 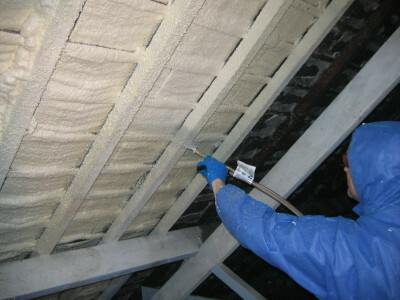 The foam sealant has a closed cell structure and exceptionally low permeability, unlike single component aerosol foam sealants which have an open cell structure and will absorb moisture. To find out more about Handi Foam portable spray foam kits, please follow the links on this page to visit the Handi Foam products and prices page.